The Bernese Mountain Dog, called in German the Berner Sennenhund, is a large breed of dog, one of the four breeds of Sennenhund-type dogs from the Swiss Alps. The name Sennenhund is derived from the German Senne alpine pasture and hund dog, as they accompanied the alpine herders and dairymen called Senn. 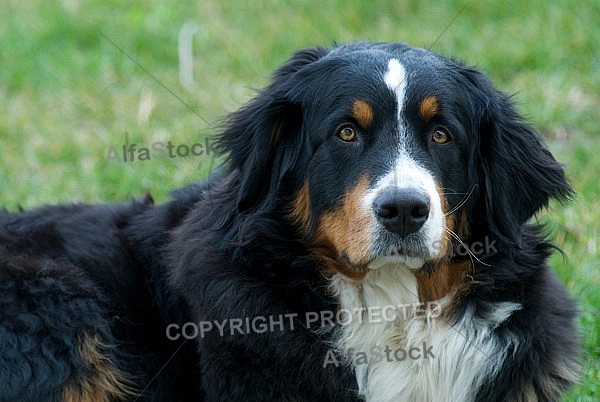 Berner or Bernese in English refers to the area of the breed's origin, in the Canton of Bern in Switzerland. This Mountain dog was originally kept as a general farm dog. Large Sennenhunds in the past were also used as draft animals, pulling carts. The breed was officially established in 1907. In 1937, the American Kennel Club recognised it as a member of the Working Group.